1A First Alternative uses the Terms and Conditions for B2B as provided by Nederland ICT (Dutch). The Nederland ICT Terms and Conditions contribute to the success of ICT projects, among others with a clear, fair and market-based spread of responsibilities and risks between supplier and client. The conditions conform to the latest developments in legislation and case law in the field of ICT. Information security is one of the important business risks for 1A First Alternative. 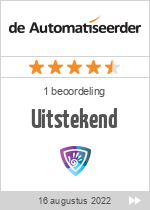 That is why we have been certified according to the ISO 27001 standards by Quality Masters (Dutch). The management establishes the policy, assesses the risks, determines the measures and periodically assesses the operation of the policy and the compliance with these measures internally and externally. The complete information security policy, the Declaration of Applicability, and the certificate can be requested from the management.